When I entered the Cathedral of Notre Dame in Paris, this was the first impression. 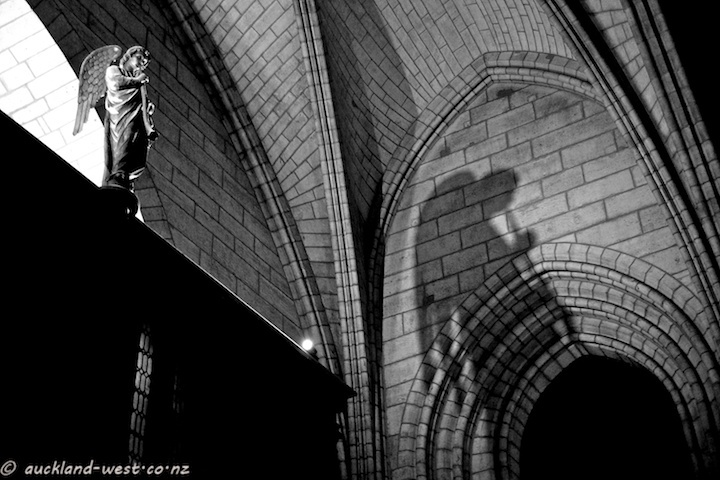 Of course there is more than black and white in that wonder of gothic architecture. 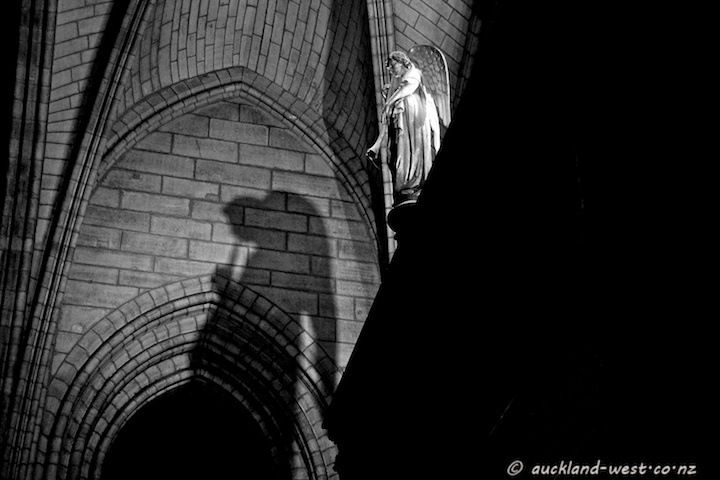 That is a wonderful angel shadow which is almost better than the statue. Fabulous photos of a stately building! Thank you Paul, for your kind comment on my post! Great shot, and I think the shadow of the angel is doing the this photo! Very well seen! Perfect. Those angels are perfect. It was St Mickael’s day, yesterday, you know… Angels were everywhere, I guess.